In Part 2 of this series, we discussed selecting and launching a new Amazon Machine Instance (AMI), creating and configuring that instance to serve as a dedicated name server, and worked through configuring a DNS Cluster for use within your subnet. Today, we will launch and configure a standard Web Server instance using cPanel 11.39 or newer. I will discuss how to join the new instance to our existing DNS Cluster and how to ensure that 1:1 NAT is configured and working properly. First, I will discuss the reasons for configuring instances in certain ways as they relate to being on AWS, but this is not a lesson in web server management. Use of best practices falls to you. 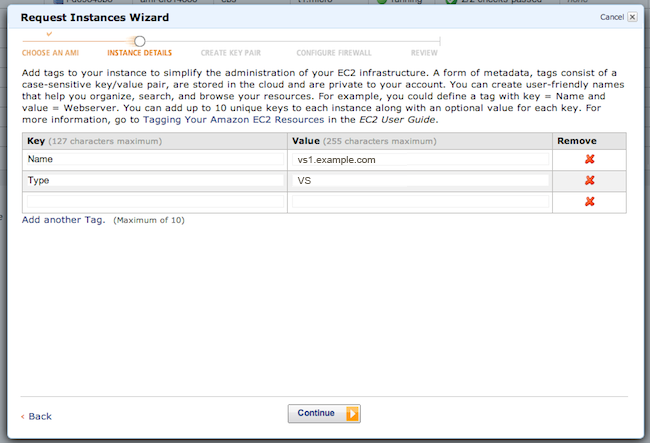 Amazon EC2 instances are the fundamental building blocks for your computing needs in AWS. You can think of instances as virtual servers that can run applications and services. Instances are created from an Amazon Machine Image (AMI) and choosing an appropriate instance type. An AMI is a template that contains a software configuration, including an operating system, which defines your operating environment. You can select an AMI provided by AWS, our user community, or on the AWS Marketplace. You can also create and optionally share your own AMIs. A single AMI can be used to launch one or thousands of instances. 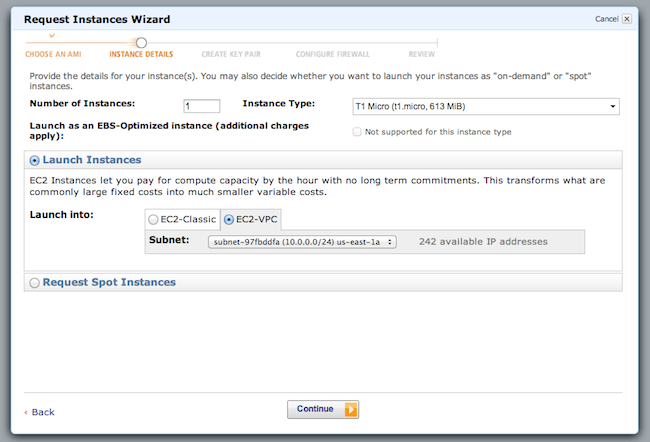 Select the “Instance Type: T1 Micro“. A T1 Micro Instance is sufficient for testing a basic web server. (More on Instance Types). Naming convention is entirely up to you, however, I recommend using a standard naming schema throughout your VPC. This makes for easier maintenance and management. I generally set the “Name” key to the hostname of the instance, and create an additional key “Type” and set it to the function of the instance, in this case VS (Virtual/Web Server). 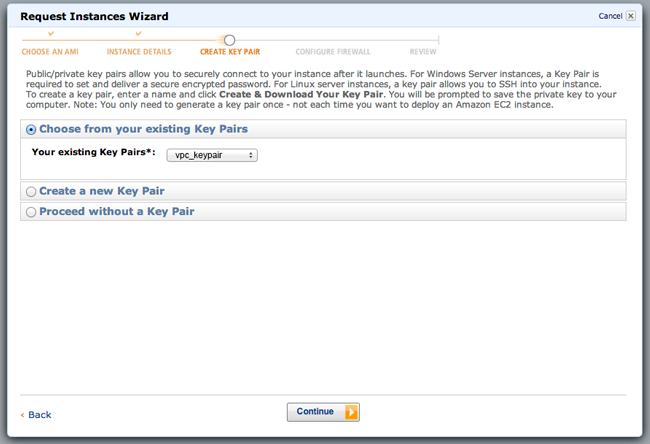 Select the previous key pair we created in Part 2 titled “vpc_keypair“. Select the “VS_SG” Security Group that we created in Part 1. Enter the hostname of this instance. In my case, I chose “vs1.example.com“. 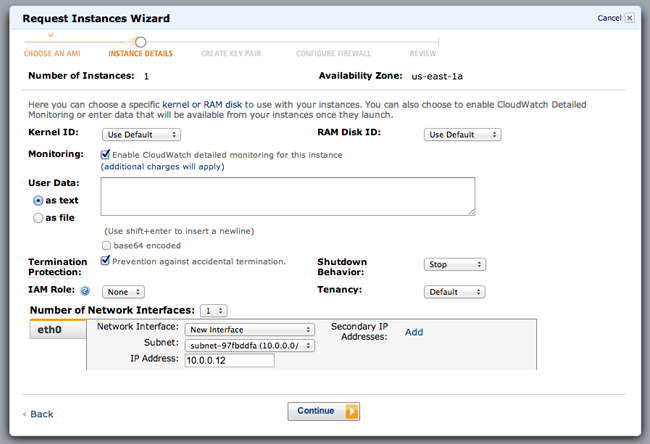 Officially, cPanel’s NAT feature should only be used on fresh installs of cPanel/WHM. The automatic detection of the NAT architecture will not occur properly on an upgraded system, however, we can force 11.39+ to manually check for a NAT instance. I will first go over the expected results of a “fresh-install” and then I will review how you can enable NAT on an updated instance. Note: To the best of my knowledge, cPanel prefers you do a fresh install when using NAT so please proceed at your own risk. In Step 3, we won’t be adding an additional IP. You will see your current IP address in the “Current IP Addresses” block. 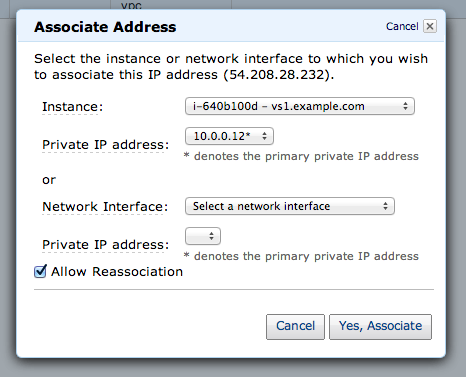 In my experience, I’ve seen the internal/local IP for the instance here, you may see the external IP address instead. We will verify in the next few steps. You should now be directed to the DNS configuration. Since we are implementing a clustering environment, we will not need to run local DNS services. Select “Disabled” in the “Nameserver Configuration” block. Configure your Primary and Secondary name servers with the hostnames of the two instances we configured in Part 2. In my case, “ns1.example.com” and “ns2.example.com“. Keep all other values at their default settings. Click “Save & Go to Step 5” . Mail server configuration is completely up to you and should be configured on your own environment’s needs. Click “Save & Go to Step 6“ . Depending on the type of instance shared/dedicated you may wish to enable/disable file system quotas. Configure your File System Quota settings. We will now go through a few steps in verifying your cPanel is properly detecting your NAT and properly mapping it to the external/public IP address. 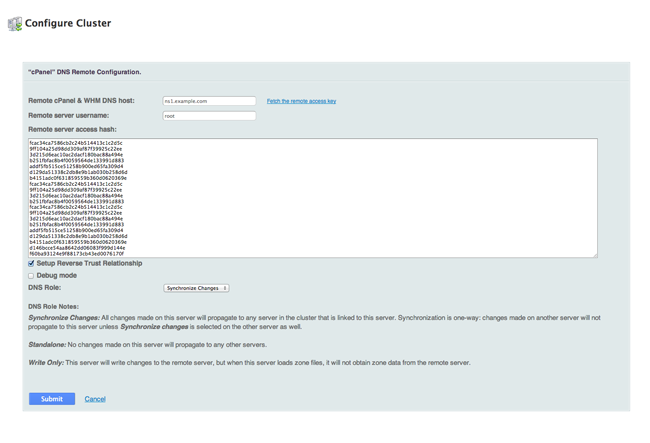 In the left hand menu, under Server Configuration, click “Basic cPanel & WHM Setup“. In the Basic Config section, ensure the field described as “The IP address that will be used for setting up shared IP virtual hosts” is displaying your external/public IP address. If something other than your external/public IP is displayed, read below. Enter the correct Internal/Local IP. Now that our Main/Shared IP is set correctly, let’s verify the current IP mapping. 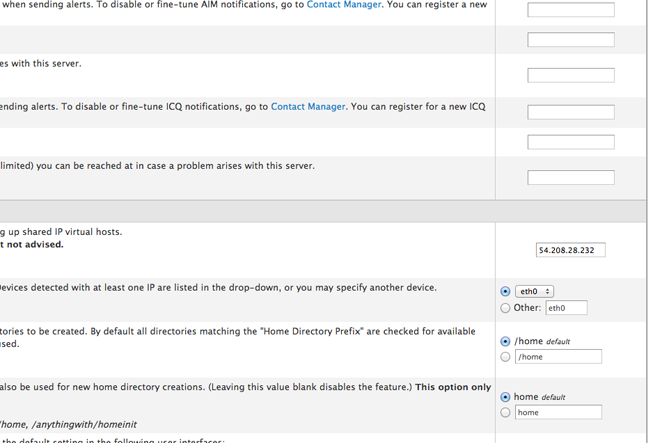 In the left hand menu, under IP Functions, click “Show or Delete Current IP Addresses“. If cPanel has properly detected the NAT, you will see a “NAT Mode” heading with a box below displaying the Local IP and the Public IP that it is being mapped to. Click the “Validate” button to ensure that the mapping is functioning properly. In some cases, NAT Mode will not be automatically enabled or detected. If the steps above produced Local IPs instead of Public IPs, you will probably need to force cPanel to detect your NAT. This can be done in a few simple steps. As I said before, please follow these steps at your own risk as cPanel does not officially support an installation that has been “upgraded” to NAT. 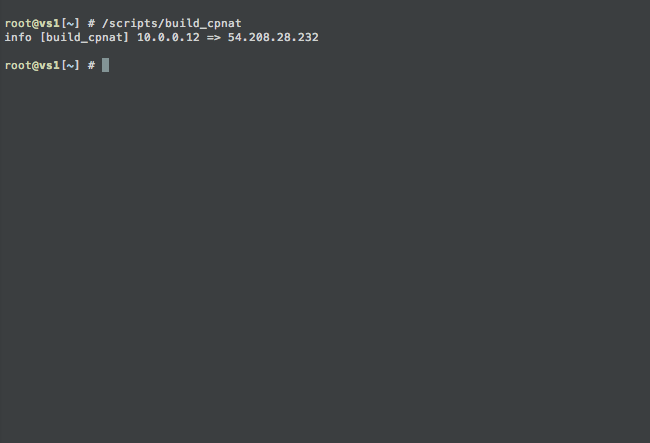 If your NAT was detected you should receive an output similar to the one below. Assuming NAT was manually forced and detected properly, repeat the steps in “Verify NAT” above to ensure cPanel has detected and mapped your IP properly. 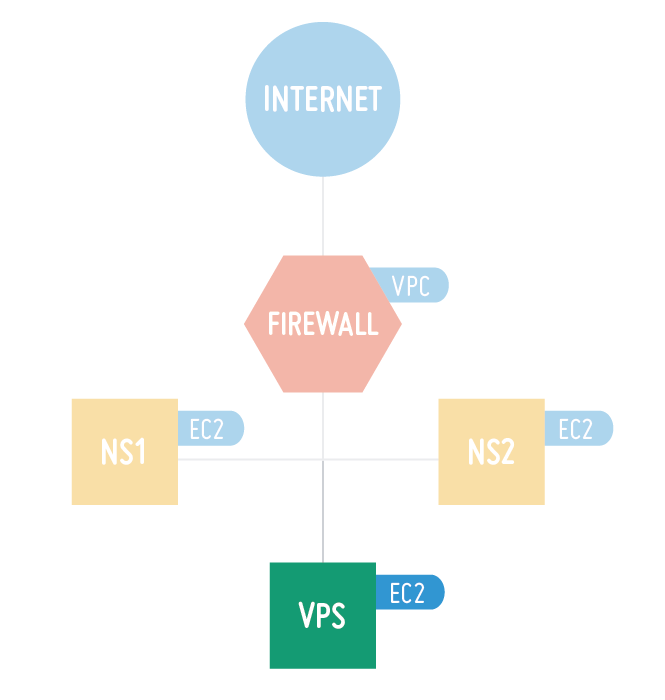 Since we have already enabled our Clustering Servers (ns1.example.com & ns2.example.com) I will go through the steps required to join our server to the cluster. Where <your-nameserver> is replaced by the hostname to your first nameserver instance. You will be prompted for login credentials. Username will be ‘root’ and the password will be the password you set. 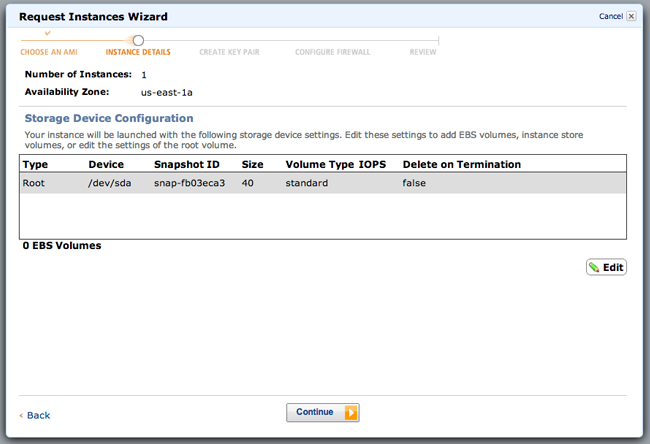 In the left hand menu, under Cluster/Remote Access, click “Setup Remote Access Key“. You will be given a long string designated as “Access key for user ‘root’.” Copy this key to your clipboard or a temporary text document. Note: An access key is essentially login certificate that gives anyone with access to the key complete control over cPanel/WHM. Never share this key with anyone and never save it anywhere. The key can always be accessed from within WHM. Where <your-webserver> is new instance created to act as the web server. In my case “vs1.example.com“. 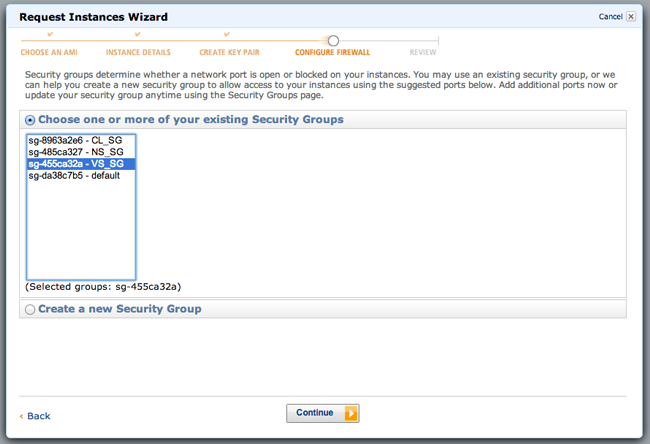 In the “Remote cPanel & WHM DNS host:” field, enter the hostname of the nameserver you just copied the access key from. In my case, “ns1.example.com“. In the “Remote server username:” field, enter “root“. In the “Remote server access hash:” field, paste in the Access Key you previously copied from the nameserver. Ensure that “Setup Reverse Trust Relationship” is checked. Debug mode can remain disabled. 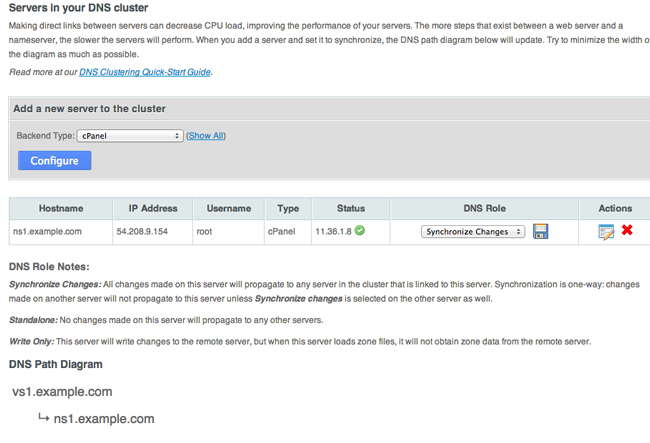 Set “DNS Role:” to “Synchronize Changes“. This setting is specific to the server type, but generally will be set to Synchronize Changes. The server will now make an attempt to establish the Trust Relationship with the cluster. If the connection succeeds you will see a verification message “The Trust Relationship has been established…“ and “The new role for <ip> is sync“. Click the “Return to Cluster Status” link. On the Configure Cluster page of your virtual server, in my case “vs1.example.com“, ensure that you see the established relationship with your nameserver. Refresh the Configure Cluster page of your nameserver, in my case “ns1.example.com“, ensure that you see the established relationship with your virtual server. On the nameserver side, you will see a DNS role of your virtual server set as “Standalone”, this is intentional and expected. Note: In some instances, I’ve experienced situations where the virtual server will indicate that it had succesfully established a reverse trust relationship with the nameserver, but upon verifying the cluster on the nameserver, I either did not even see the virtual server displayed in the cluster or I received authentication errors. The solution is to follow the steps above for creating the Access Key and adding a server to the cluster but do it on the nameserver as well. You shouldn’t run into this issue but if you do, post in the comments and I am happy to help sort it out. Additional Note: Depending on how your firewall rules are setup, DNS clustering could fail if the proper ports are not opened. To ensure you are opening the proper ports, have a look at Getting the Most Out of Your System’s Firewall, which details cPanel’s commonly used ports. 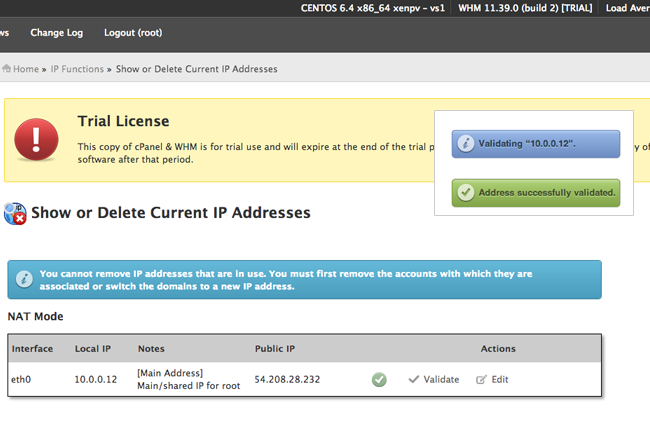 At this point you have a single virtual server, vs1.example.com, configured for NAT and with DNS Clustering enabled. 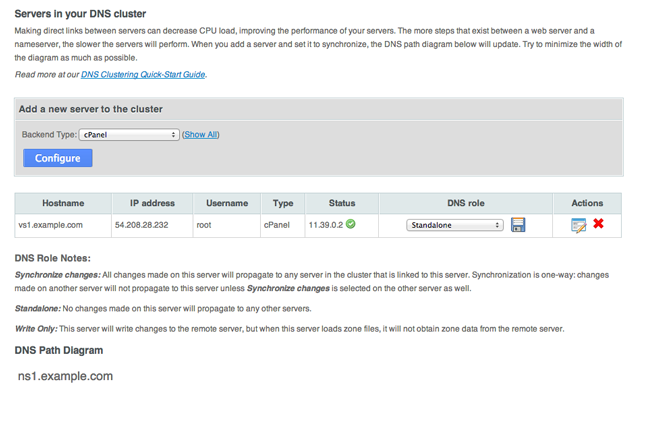 We have joined the instance to one of the nameservers in our DNS Cluster. 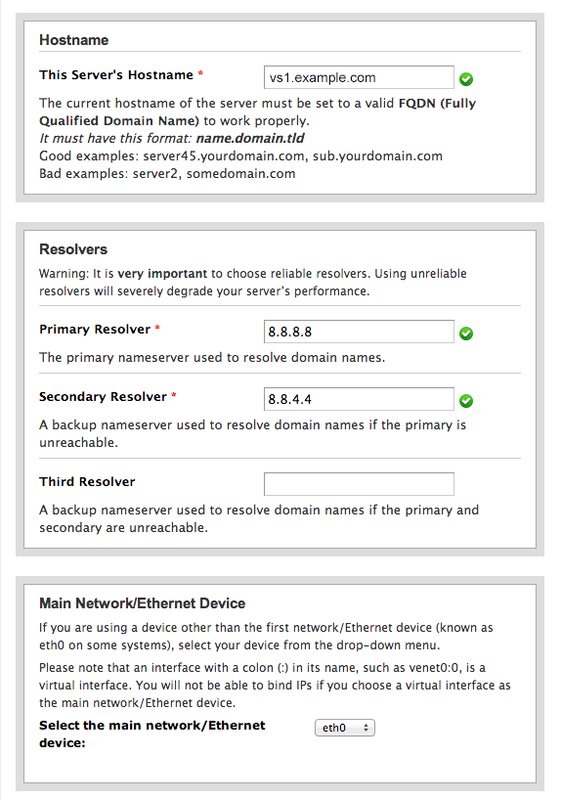 You do, however, need to repeat the DNS Clustering steps for the secondary nameserver, presumably ns2.example.com. 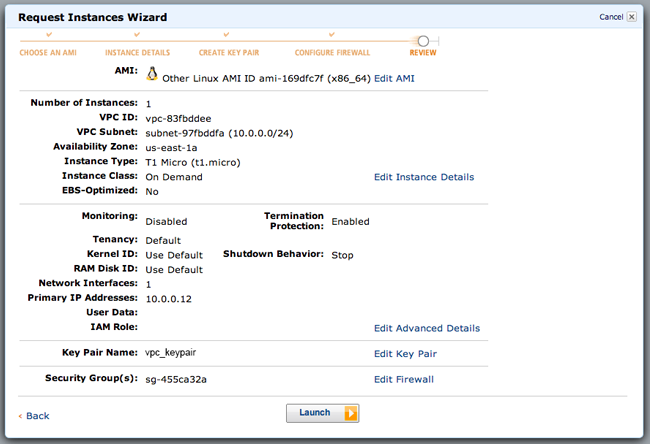 You can continue configuring your server how you would normally for your own environment. cPanel/WHMs NAT implementation is pretty transparent to the user. You rarely need to take into consideration the fact that you are behind a NAT architecture. cPanel simply translates your Local IP to your Public IP wherever it is required. Seamless. The NAT Team at cPanel worked very hard to ensure that everything just works.